NEWPORT BEACH — The 65th annual Newport-to-Ensenada International Yacht Race will begin with a series of starts off the Balboa Pier, beginning at 11 a.m. But before that happens, there will be plenty of preparation for skippers and crews — and plenty of celebrating. This year’s pre-race events include the Lexus Newport-to-Ensenada Kickoff Party, from noon to 4 p.m. at the Balboa Fun Zone. Everyone is welcome to enjoy live music, kids’ boat-building activities, classic race boats and classic cars on display, and special exhibits at the Newport Harbor Nautical Museum. For more information, visit nhnm.org. A Yachtsman’s Luncheon is planned at noon April 25 at Newport Harbor Yacht Club. For details, visit nosa.org. An invitation-only VIP Boat Owners’ Reception is scheduled for 7 p.m. at Vineyard Vines in Fashion Island. For more information, contact the Newport Ocean Sailing Association. 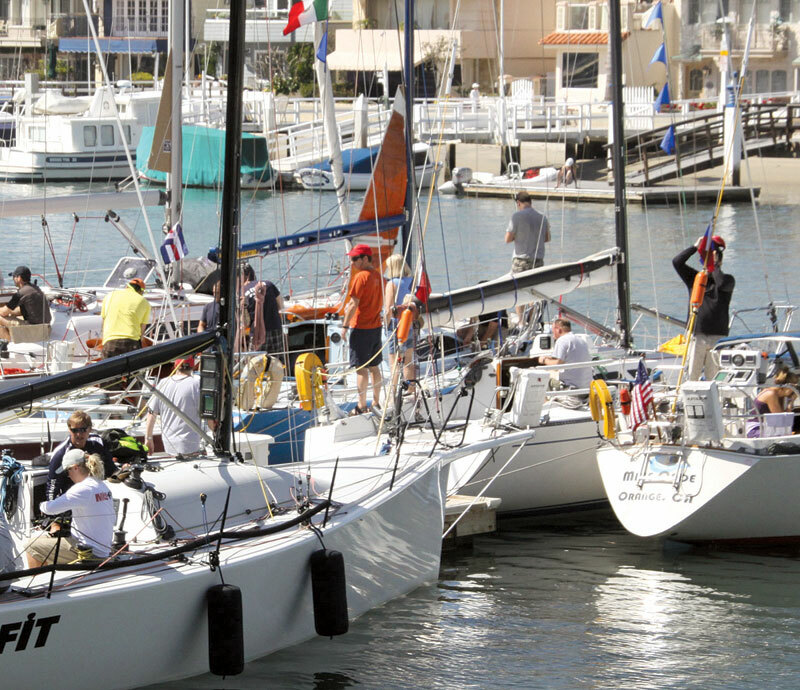 Bahia Corinthian Yacht Club will host the annual Pre-Race Fiesta starting at 6 p.m. April 26. Everyone is welcome to attend the event, which will include live music, and food and drink specials with no cover charge. For details, call the club at (949) 644-9530. At press time, 187 boats had already entered the race, which will take sailors from Newport Beach to the northern side of Bahia Todos Santos, offshore from the new race headquarters at Ensenada, Mexico’s Hotel Coral and Marina. For friends and families of racers, a chartered bus to Hotel Coral will be available — departing from Newport Dunes Resort Marina, Dana Point Marina and Old Town San Diego in the morning April 28 and returning in the evening April 29. Reservations can be made via email at bajaama_tours@yahoo.com. The cost is $50 one-way or $70 round-trip, and payment must be made in cash when entering the bus.